Today, Mr Donald Trump took oath as the 45th President of the United States of America. The outgoing President Barack Obama has ensured smooth transfer of power from him to the incoming President Mr Trump. Trump believes climate change is a Chinese hoax and America can be made great again through trade protectionism. Meanwhile, Germany led by Chancellor Angela Merkel is strengthening its economy like never before. In 2016, US had a trade deficit of USD 740 billion against the Germany's USD 280 billion surplus. With a protectionist president like Trump, US economy is expected to sink itself. Therefore, the transfer of power from Obama to Trump is solely a constitutional transfer but the real transfer of power is more about the general perspective of the international community with regard to the visionary leaders in the world's leading economies. 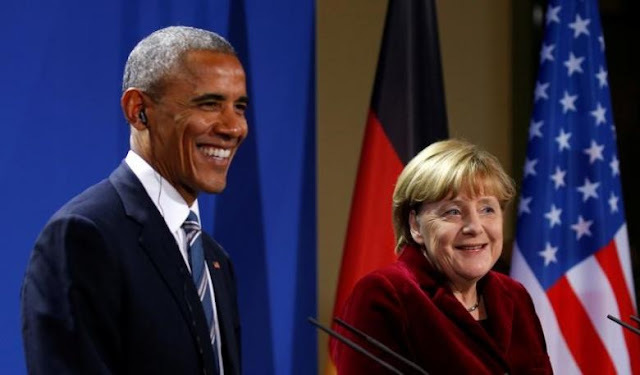 Hence, the real power in world order is now transferred from Obama to Angela Merkel.